How do you bring insight? I often hear from organisational leaders that we need to move from providing information to discovering insights. It’s a seductive thought. We have information overload, but where are the rubies in the rubble of all this information? What insights are there that will help me to do my job better, grow the business, offer something special to our customers? Many would say that the answer is in data analytics. 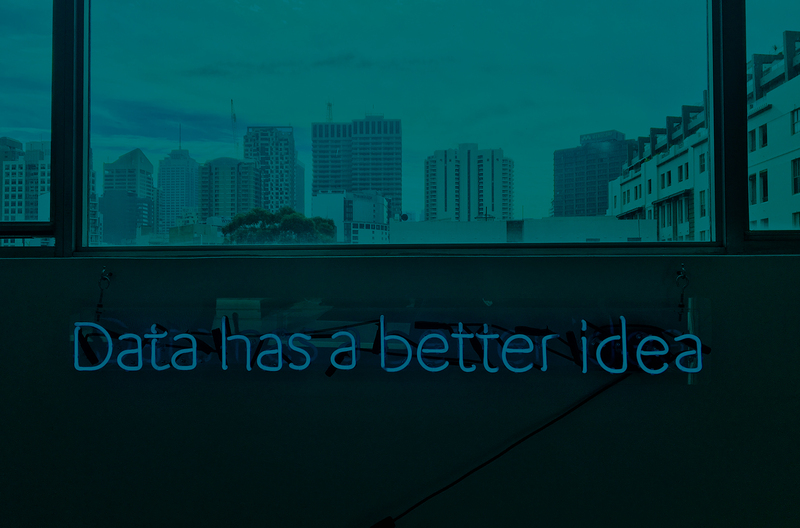 Big data has become one the priority areas for business leaders. In 2016 big data had become a $120bn plus business and it’s still growing. 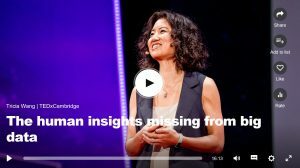 I was therefore really interested to come across this TED talk titled ‘the human insights missing from big data’. I was even more intrigued to discover that the presenter – Tricia Wang – was a data analyst and not a psychologist or someone specialising in human sciences. So, I listened in and wasn’t disappointed. Her fundamental question resonated powerfully with me: ‘why do so many companies make bad decisions’ …. ‘even with unprecedented amounts of data’. Our own research into the work of the unconscious in decision making addressed the very same question. Her own findings were that data only offers us part of the picture. The other part of the picture was to factor in the human dimension. Tricia’s own insights came from a research project she conducted in China on behalf of Nokia in the mid-noughties. Through qualitative research – talking to people, hearing their stories, aspirations and dreams – she discovered that people were highly attracted to the emerging smart phone (a new product at that time). When she reported this to Nokia, the response from Nokia leaders was that they had millions of data points that suggested that no-one wants to buy a smart phone. Nokia therefore didn’t develop a smart phone and the rest is history – Nokia fell off a cliff. What Tricia discovered was the work of the unconscious in shaping our thinking. In her talk she refers to the Quantification Bias – valuing the measurable over the immeasurable. We are dazzled by data, seduced by statistics, gratified by graphs and addicted to analysis. Data gives us an illusion that we can know everything. In our research written up in the book Risky Business two of our characters in particular warn of the misuse of data . The Captain in us selects data that steers us towards our pre-determined decision, ignoring other data that might take us to a different destination. The Judge in this is attracted to data that catches our eye, or grabs our attention. These are tendencies we need to be really attentive to. In her talk Tricia raises other issues about the work of bias and data, especially how bias is embedded in algorithms – but that’s a theme we’ll pick up on in 2019. How then do we bring insight? In her talk, Tricia points to the power of ‘and’: bringing big data AND what she calls thick data together. It’s not an elegant phrase, but what Tricia means by thick data is unquantifiable insights gained through human interaction: asking questions, hearing stories, feeling emotions, understanding experiences. We are big fans of data analytics and the power it brings in connecting data points and revealing richer pictures of what is going on. We need more of this. But we must not lose sight of the human dimension too. Understanding our own thinking processes and how we are prone to biases, is one way we can mitigate against bad decisions. Bringing the human narrative into our storylines is another way to test and enrich data. How reliable is the data I/we use to shape our decisions? 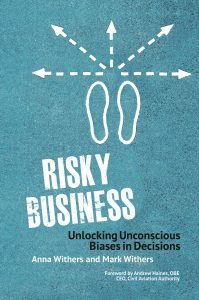 How well do decision makers understand the biases that might distort our thinking? How can we combine big data and thick data to give us richer insights into our customers, markets, people and operations?